Happy Saturday everyone! I hope you have a great and productive week. 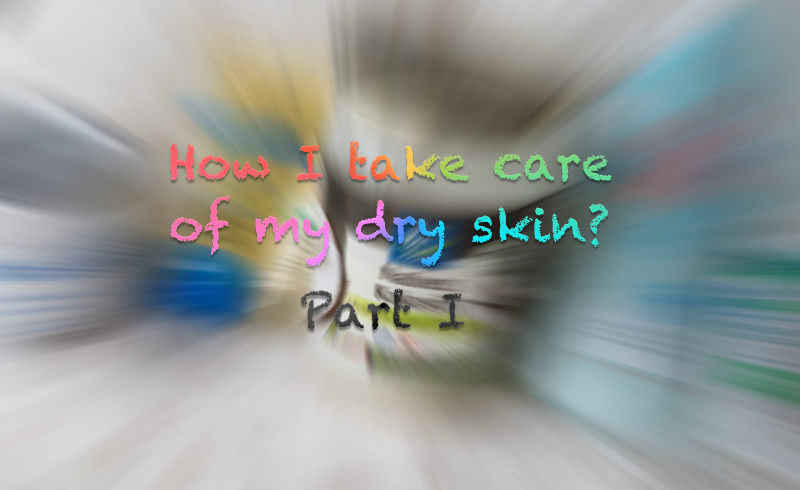 In the latest post and video I have noticed that majority of you have a dry skin. My closest friends always ask me how come my skin is so soft on the touch. That have given me an idea to write how I take care of my skin, maybe some tips are going to work on your skin too. I'm planning to make a part two as well. In case, you have oily skin and bad acne I used to have a big problem with the acne I can give you my tips and what have helped me during that time. In other hand, if you see I didn't mention but works on your skin let me also know in the comment below. In this first part, I'll talk about my skin care routine, what product I'm currently using, am I satisfied with them, what ingredients work the best for me. I'm not of any kind professional, everything I know I've learned by myself and trying out the products. Lately, I have started to be more consistent on moisture my face with masks that I put minimum once a week. More about face mask I'd be talking in the next post. They have saved my face of the extreme dryness. Skin on my face was so dry like I have had dandruff on my face. Over the years I have learned that my skin has good reaction on the almond and coconut oil. Those are my top two oils, I got back and forth with them. I don't know if you have known but coconut oil is also good for removing your makeup. In this post here, I have written about ow I use coconut oil if you are interested in knowing a bit more about it. For hydration, you can try also jojoba, marula, argan, lavender oil etc. The first product that have helped me to put everything in control are by Mixa I have also made a review on these products before. Unfortunately, my skin have used to it so much after a while. I need to found new products. I have also mentioned in my winter skin care post last month. In my last unboxing post you could see I got two tonics, which are bio products. I started to first try out Melissa tonic because is Croatian product and manufacturer have family farm. I like to give them support by a try this product and see is it worth of buying in my opinion. I'll give you a full review, after I see how it works on the longer period. When it comes to taking care of your skin I always at least have one product that's bio (for example oil). In my opinion, I have seen that cleanser with oil in the product have much better effect my skin I don't find that dry my skin so much. Good moisture is the most important thing to find if you ask me. Sometimes when you run out of it, I would put oil instead or if I noticed that my skin is drier than usual I'd put coconut/almond oil. I don't have nay specific brand I usually am goin in bio section and by bio raw coconut oil in Müller because of the cheaper price. I have heard great things about this one too. In the process of cleansing my face I would always start with warm water and run out cleansing product with cold water. I have noticed if I to everything with warm water my face in the morning would be drier than usual. With what do you clean your face? Well, I have found out that the microfiber cleansing gloves performs best for me. I have start with silicone pad like this, but I have lost that one and bought microfiber cleansing glove like this. I think that the glove do better job for me when it comes to removing makeup and cleaning my face. If you are interested in giving a try, you can check it out here. Tell me: Did you try microfiber cleansing glove or silicone pad for face? Which oil is best for your skin? Do you have trouble in taking care of your skin?